During a recent trip to Tasmania where we attended a friend's wedding, Pete and I got chatting to a fellow wedding attendee about the high quality of Tasmanian produce. 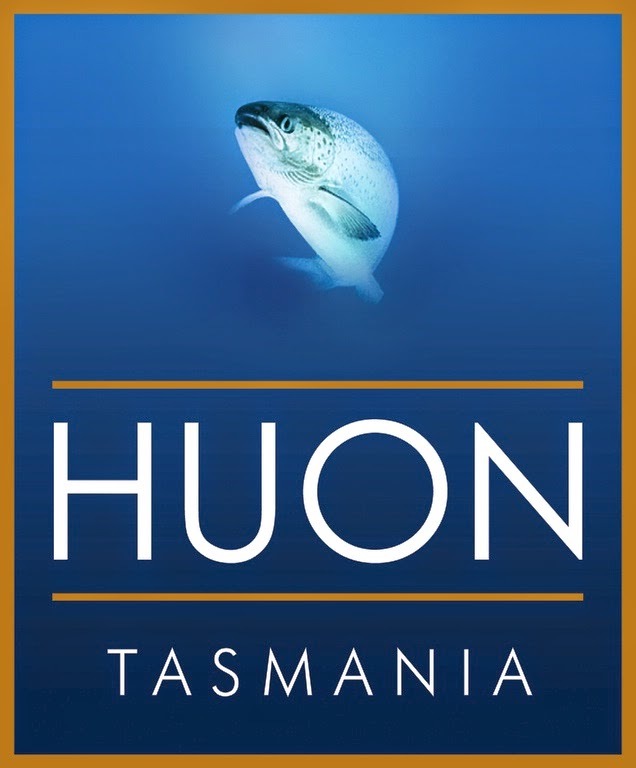 We thought it a great idea to get some local knowledge on the subject and during our chat he told us about the Huon Salmon brand and how in his opinion it was the best around. Fast forward a month and I find myself enjoying it here in Sydney after placing an order via their online store. 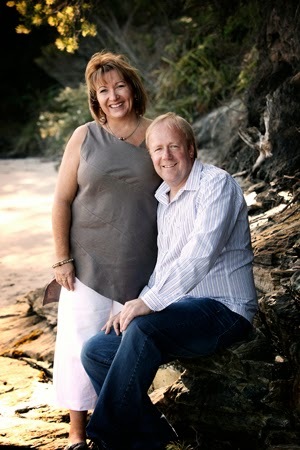 The Huon Aquaculture Company started out as a small family business founded by Frances and Peter Bender whose passion for quality produce has seen the company grow to what it is today - with a turnover of approximately 3 million salmon per year. ✓ Stress Free – Raised to mirror the natural life of salmon in the wild. ✓ Well Nourished – The highest quality feed dispensed by their ingenious feeding system. ✓ Kept Clean and Healthy – Nurtured in the most spacious enclosures in the world. ✓ Raised with Sustainable Practices – In the crystal clear open waters of Tasmania. Heat oven to 170'C (fan forced) or 190'C ( reg). Roll out the pastry and line a shallow 28cm flan or pie tin. Trim off the edges, then line with baking paper and pie weights, rice or dried beans of some sort. Put on a baking tray and bake for 10 mins. Remove the paper and beans, then bake for 5 mins more. Meanwhile, cook the potatoes in boiling salted water for 6-8 mins until tender, then drain. Beat together the cream, eggs,herbs, lime zest, salt and pepper. 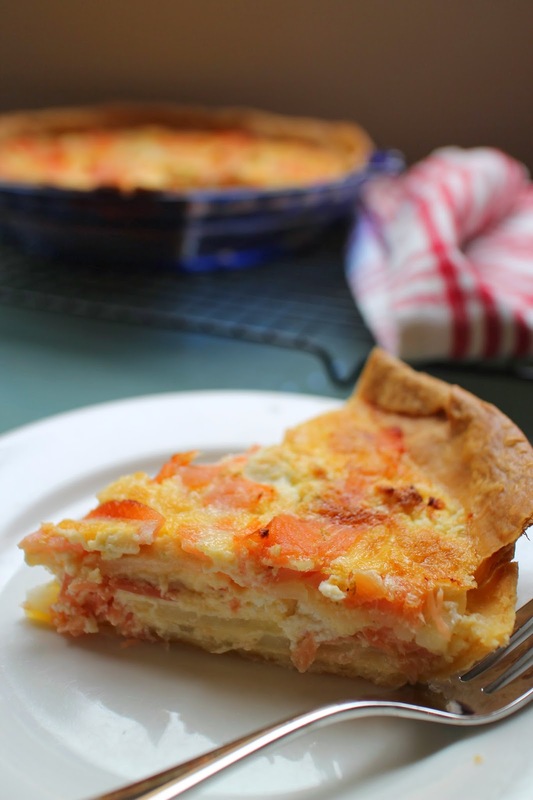 Scatter half the potatoes over the bottom of the pastry case, then put half the salmon strips in the gaps and break up half the goats cheese and scatter over the salmon. Pour over half the egg mix and repeat another layer of ingredients finishing with the egg mixture. Bake for 25 mins until the top is lightly coloured and firm to the touch. Cool for 10 mins before removing from the tin, then serve warm or at room temperature. As a delicious treat one weekend why not try this Huon Hot Smoked Salmon inspired breakfast idea - Mix some low fat ricotta with fresh mint and cooked peas. Then, simply heat a piece of Huon Honey Cured Hot Smoked Salmon in a frypan and top with your choice of poached or fried egg. Viola! 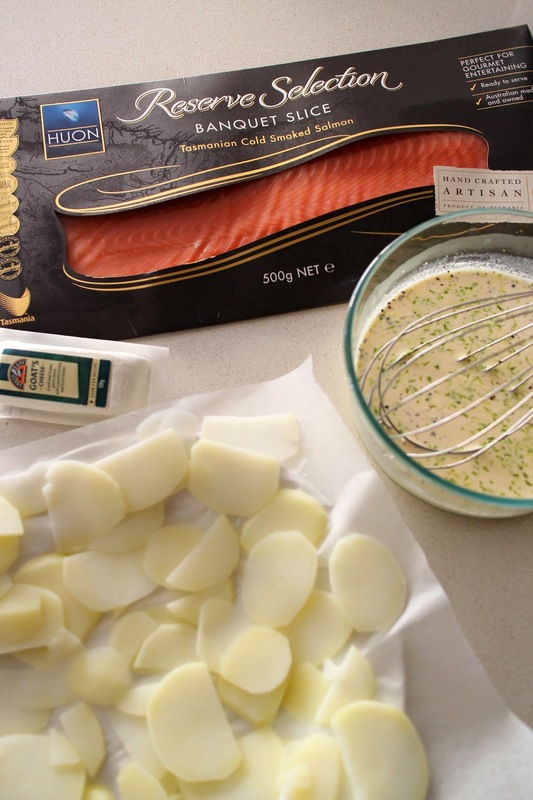 If you are on Twitter, check out more recipes and ways to use Tasmanian Huon Salmon by searching for the hashtag #huonsalmon. The Food Mentalist received Huon Salmon products compliments of the Huon Salmon Aquaculture Group.